The Ft. Lauderdale Boat Show starts tomorrow, and no doubt there will be a number of new products, boats, and gear on display for the first time. Manufacturers and builders often time an introduction of something new within the energy and excitement of a major international boat show, and Ft Lauderdale certainly fits that description. I highly recommend visiting this show at least once. Even if you are not in the market for a 40-foot submarine to carry on your cruising yacht, or a remote-controlled, telescoping passarelle for your 125-foot ketch, there is so much to see that it is hard to take it all in in just one day. And the people watching is super fun. New electronics make their debut, international builders and designers come prepared to showcase their capabilities to build you a new yacht, no matter how big or whether sail or power. I recall one show where I met a husband and wife professional crew, there to buy electronics for their German owner’s new megayacht. The wife was the captain. Their budget was $200,000. Soundings Trade Only recently published its own list of innovative awards, and a few seem destined to come onto the cruising scene. The first was inevitable, as it was only a matter of time before this capability became available in recreational boating. Many automobiles these days offer an optional self-parking function. My wife’s Cadillac XTS has it, and she loves it. Push a button to engage this program, then take your hands off the wheel. The sensors around the car let her know if there is enough linear parking space to fit the car, and she only controls the gas pedal. The car does everything else. First we got pod drives, then we got integrated joystick and steering control to maneuver a boat in any direction safely. Then we got SkyHook geostationary capability with push button ease. So it is not a big stretch to envision self-docking on the horizon. 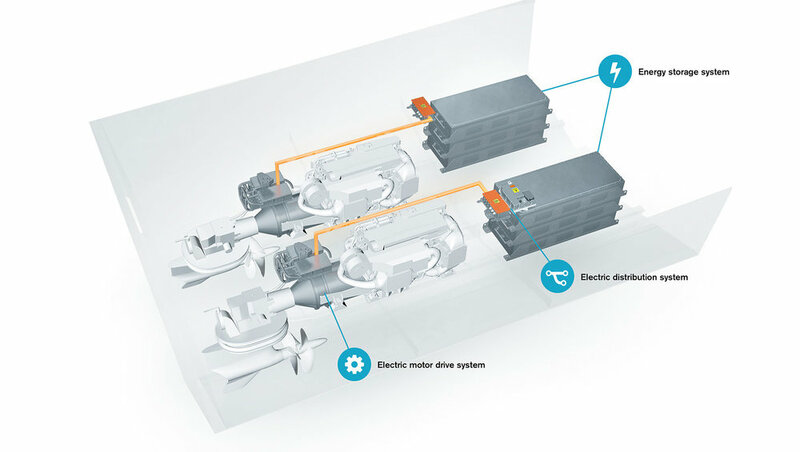 Volvo Penta also got an award for the work on a true hybrid drive system, expected out in 2021. Combining diesel engines, electric motors, and advanced battery systems, it will be the first complete hybrid system from a manufacturer for the cruising boat. The company’s success and experience in its truck and bus businesses are the groundwork for such systems. I don’t think it will be the propulsion choice for everyone, but the trawler and sailboat crowd might gravitate to such technology for cruising. Another company received an innovation award for pushing the electric drive concept. 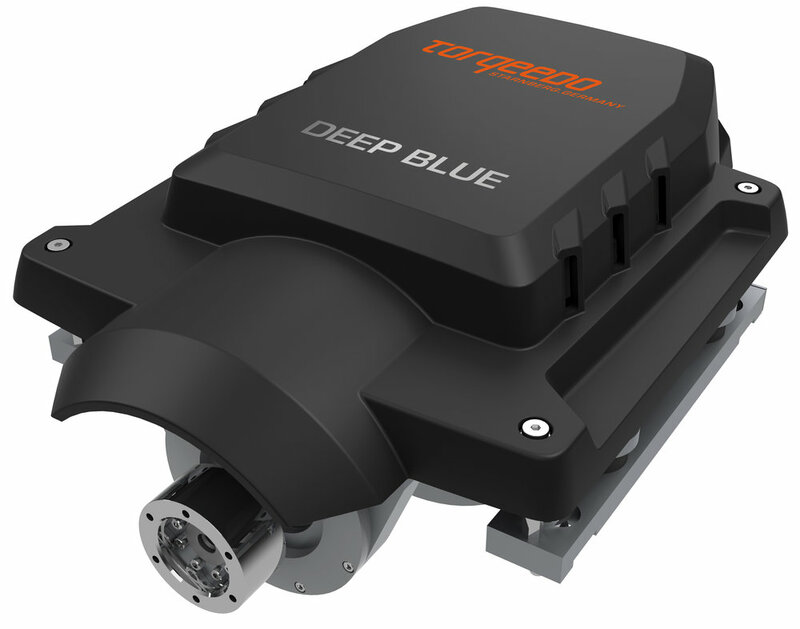 Torqeedo is well known for its small electric outboards, and every year the company seems to introduce larger, more powerful propulsion packages to steadily increase the power and range of electric propulsion. Torqeedo recently provided two of its 50-kW Deep Blue inboard systems for use in a 60-foot, 120 passenger ferry. Since the company was acquired last year by German engine manufacturer Deutz AG, the increased resources and overlapping technological opportunities seem a natural fit. Deutz uses the Torqeedo technology in its forklift line, and it may make sense for the two companies to develop hybrid systems among other emerging propulsion systems. As more automotive companies embrace electric vehicles, this is clearly the path of the future. Most everyone I know now owns at least one hybrid or electric car, and it is no longer a novelty. It is the new normal. From Prius to Tesla, all automakers are on this track, even Porsche. It sure is nice to witness the future unfold so nicely. Whether global warming is real or simply pseudoscience, as some Nobel-winning scientists insist, the days of old diesel and gas engine emissions, belching carbon and all sorts of pollutants are numbered. I read somewhere that in England, when a contractor builds a new residence, it must include an electric charging station. Congratulations to all of the winners of the Soundings Trade Only Innovation Awards. And we can’t wait to see what is new in Ft Lauderdale.